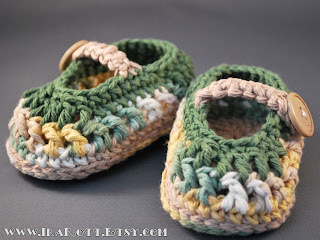 Baby Booties for Cuties and Much More! I have a big passion for all things knit and crochet, which is something I've mentioned in the past on this blog and am sure to mention again sometime in the future. Today's shop is a shop filled with Fashion knit and crochet items such as hats for kids and adults, baby booties, mittens, socks and more. I especially fell for the booties pictured in this post. I really love the colors used in them and... well they're just so cute! In fact, Ira Rott's has a lot of really cute booties offered in their shop, in a number of styles. They're all quality made, extremely cute as well as practical with double soles for both stability and comfort. Not only that, but she welcomes custom orders! So if you like something you see, but need a different size or want it in a different color, you can contact her and be guaranteed to get something made just for you and to your specifications. Her kitting and crocheting ins a family tradition and Ira Rott does absolutely gorgeous work. In fact, her items have been featured in a number of magazines. You'll love what you see when you stop by her shop, so don't miss out and be sure to check her out! YOU CAN CLICK ON THE PICTURE ABOVE TO VISIT IRA ROTT'S ETSY SHOP AND TAKE A LOOK AROUND OR, IF YOU PREFER, CLICK RIGHT HERE. I have to admit. I make a lot of jewelry, and I absolutely love it, but I've never quite mastered the skills involved with wire working. Not that I can't do the basics, and do them very, very well... but when you get into the more complex designs I just haven't found my groove. The other day I found a jewelry designer that has. 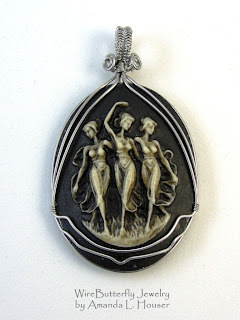 In fact, she creates some of the most beautiful pendant mountings I've ever seen, not to mention has wonderful taste when it comes to picking out the pendants and beads to accentuate with her wire working endeavors. Amanda Houser is the artist behind these beautiful pieces, and it's clear she takes great care in the details of her work and love creating jewelry. Her pieces are beautiful, eye-catching and unique. She mainly work in stainless steel wire because Surgical stainless steel is hypo-allergic, which means that even if you or the person you're shopping for has a bad reaction to most metals, you have a good chance of that not being a problem with these pieces. Not only that, but stainless steel doesn't tarnish either, nor does it require any special cleaning which makes these pieces not just lovely but durable as well. TO VISIT AMANDA HOUSER'S WIRE BUTTERFLY SHOP ON ETSY, YOU CAN CLICK THE PICTURE ABOVE OR, IF YOU'D RATHER, CLICK RIGHT HERE! OOph! 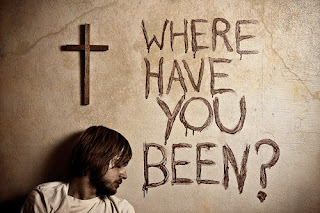 I feel like that every once in a while, don't you? I'm referring to the picture in this post by the way. The first time I saw it, it immediately spoke to me. I was having one of -those- days, you know? 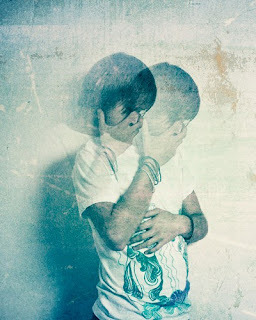 And I saw this picture and it just accurately portrayed everything I was feeling. For that matter, there's a great number of photos in today's feature shop that speak to me and hit on inner chords. It's pretty often that I enjoy the skills of those that can really do something special with a camera... but it's not every day that you run across someone able to so succinctly express true, raw emotion in their work. Today's photographer that does this to perfection. Dylan Murphy is a very talented 23 year old photographer whose work ranges from straight photography to complex digital manipulations and everything in between. The subject matter is also varied, including everything from the mundane to the absurd, the unusual and the every day and much more. Dylan confesses that although he doesn't always know what his work means, but that doesn't change the fact that his pieces reach right inside and grab your attention on a very base, emotional level. You really won't want to miss checking out his shop and seeing what he has to offer. He has to be one of the most talented photographers that I've ever seen, and that's really saying something because I see a LOT of photographers. I've just never seen anyone who captures emotions on film and in print quite as perfectly as he does. YOU CAN CLICK ON THE PICTURES ABOVE TO VISIT DYLAN MURPHY'S ETSY SHOP AND TAKE A LOOK AROUND OR, IF YOU PREFER, CLICK RIGHT HERE. 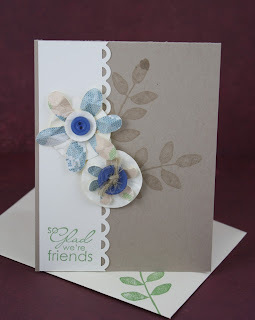 Today I'm introducing one of my favorite places to look for holiday and birthday cards! This shop is filled with wonderful, cute and elegant designs that are fit for every occasion. The shop, Papered with Love, is ran by Stephanie Connell and she's truly an inspiration! Stephanie specializes in hand crafted paper goods for all occasions from birthday cards to wedding favors, and offers a unique and creative way to express yourself to those you love and care about. All her cards are sold at very *very* reasonable prices too! Which means she's giving the commercial options a run for their money. Because why would you -ever- want to buy a generic commercial card when you can get something beautiful, handmade and absolutely perfect for the same price or less? Stephanie, a special ed teacher at the elementary school level, discovered the joys of paper crafting a few years ago when she couldn't find the wedding favors she wanted for her own wedding... so she made them herself! She's been doing paper crafts ever since, and does absolutely beautiful work. TO VISIT PAPEREDWITHLOVE'S SHOP ON ETSY, YOU CAN CLICK THE PICTURE ABOVE OR, IF YOU'D RATHER, CLICK RIGHT HERE! When you run a business where you need customers for your income, one of the hardest things you can do for your business is trying to find your target market. It can be extremely beneficial, but that's not to say it's not without its difficulties. 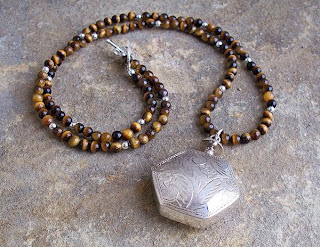 Today we're featuring a jewelry designer that has found that market and carefully incorporated it into their products with stunningly beautiful results. He's focused his jewelry design on pieces for women who gear their wardrobe to have as much versatility as possible. These are women who fill the majority of their closet space with separates that they can mix and match in order to get a lot of mileage out of just a few pieces. 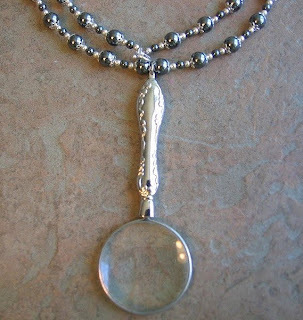 John Tozzi's jewelery is then designed to be just as versatile and views his jewelry not as an accessory so much as an extension of that kind of versatile wardrobe. Galleria di Giani is John Tozzi's jewelry shop on Etsy, and you can find a variety of these beautiful, versatile pieces available there. What I personally enjoy about his pieces is that every one of them uses gemstones in their design, some of those gemstones being very unique, like the Kashgar Garnet that he and I are both apparently drawn to very strongly. It's an honor to know John personally, and I can vouch for his dedication to his work and his designs. He's very personable and easy to talk with and, I imagine, he's just as easy to work with as well. YOU CAN CLICK ON THE PICTURE ABOVE TO VISIT JOHN TOZZI'S GALLERIA DI GIANI SHOP ON ETSY AND TAKE A LOOK AROUND OR, IF YOU PREFER, CLICK RIGHT HERE. Oy!! Did anyone else oversleep today? I did. BIG time. And I had the strangest dreams last night too! "What does an engineer do when she decides she does not want to work as an engineer? She gives in to her lifelong love of all things creative and makes some cute stuff." Today I'm featuring a little Etsy shop called Love, Elycia that has a collection of the cutest little headbands and little felt brooches. This includes head bands with granny squares, felt mustaches (If you need a giggle, you really have to check out the pictures on this one!) 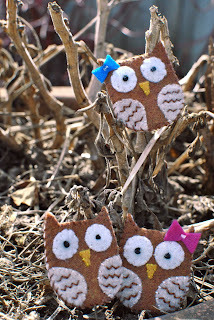 and even cute little felted owl brooches. Elycia loves to knit, crochet, sew and much more, and she puts all of these talents to work in her shop, creating cute headbands, hair bows and other felted goodies. She's located in Hamilton, Ontario and sells in a brick and mortor location as well! Her bows and bow headbands are available at Maison Fritz on Main in Hamilton so if you're in the area, you should stop in and take a look at even more of her styles and creations at that location. TO VISIT LOVE,ELYCIA'S SHOP ON ETSY, YOU CAN CLICK THE PICTURE ABOVE OR, IF YOU'D RATHER, CLICK RIGHT HERE! I discovered today's shop though Flickr! I saw one of their product photos and just fell in love with the cute little gnome figure with the word "happy" on its chest. It made me smile right away and I had to click on the profile of the artist to find out more. The shop is humbleBea's on Etsy, and the little figure I saw? They're called Bea's WEEs! Is that not the cutest thing? These adorable figurines are made by Natalie. And I find them absolutely irresistible! I love these little figures. And, at the moment, there's a variety of a collection of them in Natalie's humbleBea shop... all with a mothers day theme in mind! She has a Fix-It Mom Gnome and a Cool Mom Gnome, a Mr. 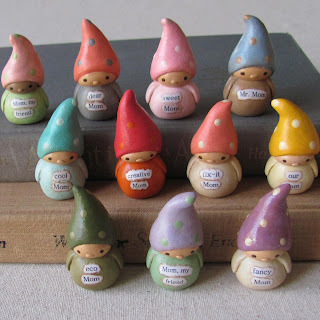 Mom Gnome, a Sweet Mom Gnome, a Creative mom Gnome and many more! And they are all absolutely, 100% adorable! There's also little Wee Birds and Wee Mushrooms an many other little cute bits to look through. Bea doesn't just sell WEEs either. She sells a selection of baby shoes, dresses, purses, jewelry, home decor and more. So even if your mom doesn't like little gnomes and birds? There's a very good chance you'll be able to find *something* in this shop that she's sure to love. YOU CAN CLICK ON THE PICTURE ABOVE TO VISIT HUMBLEBEA'S ETSY SHOP AND TAKE A LOOK AROUND OR, IF YOU PREFER, CLICK RIGHT HERE.